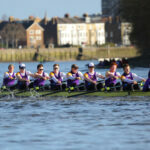 The University of London Boat Club’s men & women will be racing both Oxford and Cambridge as part of ULBC’s preparation for 2018 Head of the River and Women’s Head of the River races, and the Oxbridge crews’ preparations for the 2018 Boat Races. ULBC has a ‘full house’ of fixtures with the UL Men’s 1st & 2nd Eights and the UL Women’s 1st & 2nd Eights getting the chance to race. The UL Men’s 1st Eight eight will be coxed by Ian Middleton, Cambridge Blue and Boat Race winner now studying on a graduate course at King’s College, London. 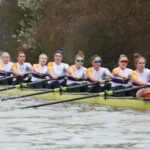 The UL Women’s 1st Eight will contain former Cambridge Women’s President Hannah Roberts, now studying at UCL, and 2017 Blondie oarswomen and GB U23 international Oonagh Cousins. 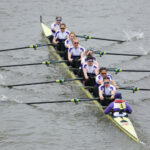 UL Women’s 1st Eight vs OUWBC, 2:15PM.